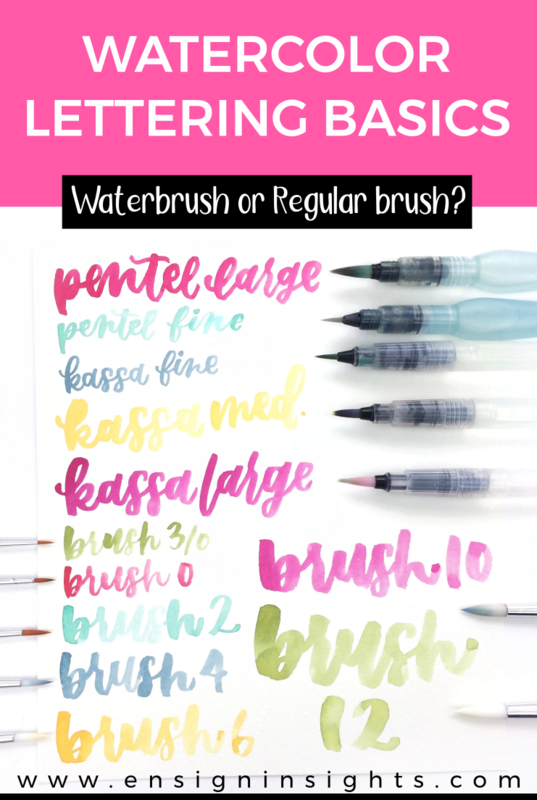 Watercolor Lettering: Waterbrush or Regular Brush? What brush is best to learn watercolor lettering? What’s the difference between a waterbrush or a regular brush? I used to wonder the same thing so I compared the different brushes! My favorite brush to letter with is the Pentel Aquash Waterbrush size fine (affiliate link). I could not figure out what made it different or why I didn’t want to use any other brushes. But I finally figured it out and I share it with you in this video. In the video I also use the Pentel aquash waterbrush size large, the Kassa waterbrushes from this watercolor starter set(affiliate links), and The Fine Touch brushes from Hobby Lobby (I show you the package in my video). I just found a pack of round brushes because they are the best for lettering. I would recommend trying different types of brushes for yourself because you may find that your style works better with a brush that you wouldn’t have tried. 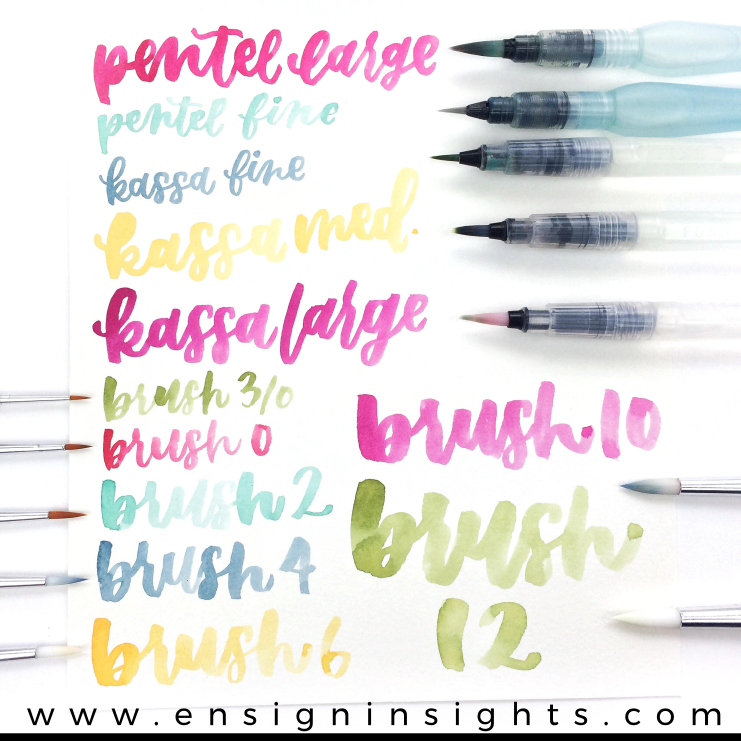 What’s your favorite brush for watercolor lettering?